BeOnePage is everything that you can imagine in an ideal creative One-Page WordPress theme being powered by the amazing Elementor. It’s fully responsive, cross-browser compatible, and easy to operate. 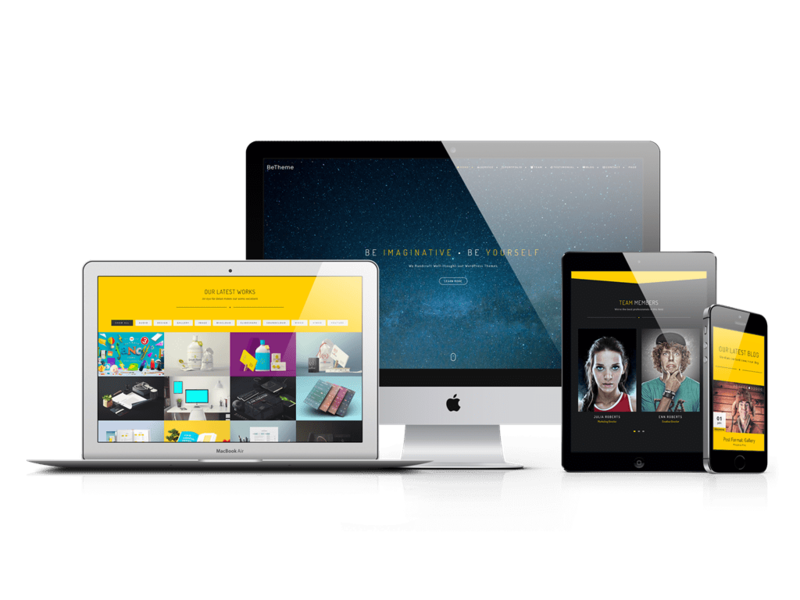 Smooth animations, optimised speed, the ability seamlessly to work on multiple devices make this theme an ideal option for creative business promotion. > Add option Enable/Disable for \"Show All Button\" in portfolio module. > WooCommerce products per row issue resolved. > Custom modules are under \"BeOnePage widgets\" category in elementor. > All home page modules build with elementor. > WooCommerce deprecated functions issue resolved. > Kirki version update to fix issue with customiser & WooCommerce. > Added autoplay option in slider module. > Added contact form email option in contact module defaulting to admin\'s email. > Fixed the issue with Process Module. > Fixed the issue with Client Module. > Upgraded Bootstrap to 3.3.7. > Upgraded Animate.css to 3.5.2. > Upgraded Magnific Popup to 1.1.0. > Upgraded Owl Carousel to 2.2.1. > Upgraded SmoothScroll to 1.4.6. > Upgraded WOW to 1.1.3. > Upgraded jQuery Easing to 1.4.0. > Upgraded jquery.mb.YTPlayer to 3.0.20. > Upgraded imagesLoaded to 4.1.3. > Upgraded Isotope to 3.0.4. > Upgraded jQuery.NiceScroll to 3.7.3. > Upgraded jQuery Smooth Scroll to 2.2.0. > Upgraded FlexSlider to 2.6.3. > Upgraded jQuery Validation to 1.16.0. > Upgraded Waypoints to 4.0.1. > Fixed issues for WooCommerce 3.0.1. > Fixed issues for WooCommerce 3.0.0. > Upgraded Font Awesome to 4.7.0. > Upgraded BeOnePage Pro Plugin to 1.1.3. > Fixed issue with icons in menu for WordPress 4.7. > Fixed menu disappear on click for desktop. > Changed vertical promotion module\'s fields from text to textarea. > Fixed menu close issue in mobile view. > Fixed customiser issue with wordpress 4.7. > Fixed Maps Missing API keys bug. > Fixed the issue for header menu. > Fixed the style issue for header menu links. > Fixed missing translation string for Contact Module. > Fixed anchor links jump to the wrong section of the page. > Fixed the button style issue for MailChimp Subscribe Module. > Fixed the breadcrumbs issue when WooCommerce plugin is not activated. > Fixed style issues for cart page. > Fixed the style issue for Cart Totals on tablets. > Fixed the issue that logo would not display when there is no retina logo set. > Fixed some responsive issues for WooCommerce pages. > Fixed the issue that submenu can\'t be displayed. > Fixed the issue that the sale badge can\'t be shown. > Added support for WooCommerce plugin. > Reduced margins of menu links on small screen sizes. > Fixed incorrect image position for Icon Service with Image Module. > Added Icon Service with Image Module. > Added Horizontal Promotion Module. > Added MailChimp Subscribe Module. > Improved error message for Contact Module. > Fixed the issue that background image not responsive for Text Slider. > Fixed the issue that the number may be changed while scrolling for Skill Bar and Fun Fact modules. > Fixed the issue that tweets can\'t be fetched for Twitter Module. > Fixed Tag Cloud Widget styles. > Fixed the connection error problem for Twitter Module. > Replaced TGM Plugin Activation for Theme Check compatibility. > Upgraded Bootstrap to 3.3.6. > Upgraded Font Awesome to 4.5.0. > Upgraded Animate.css to 3.5.0. > Upgraded Magnific Popup to 1.0.1. > Upgraded SmoothScroll to 1.4.1. > Upgraded jquery.mb.YTPlayer to 2.9.9. > Upgraded imagesLoaded to 4.0.0. > Upgraded jQuery.NiceScroll to 3.6.6. > Upgraded Smooth Scroll Plugin to 1.6.1. > Upgraded FlexSlider to 2.6.0. > Fixed alignment issue for Process Module. > Improved Fun Fact Module styling. > Improved Go to Top button styling. > Added paragraph tags automatically for Process and Team Modules. > Upgraded imagesLoaded to 3.2.0. > Improved performance of Portfolio Module. > Fixed incorrect timestamp for Twitter Module. > Added Pricing Table Module. > Improved portfolio navigation style. > Improved Fun Fact Module style. > Added imagesLoaded for better experience when open Ajax portfolios. > Added Fun Fact Module. > Added text editor for site footer. Now you can add HTML tags to footer. > Fixed incorrect display of post date on front page. > Fixed the issue that \"Go to Top\" icon not vertically aligned when change font size. > Added fadeIn and fadeOut effects for Ajax portfolio loading. > Fixed the issue that gallery thumbnails may not be loaded. > Fixed the issue that icon not vertically aligned when change font size. > Removed the duplicate option \"Site Tile\" from Customizer. > Fixed the issue that Shortcodes not working for Custom Module. > Added Custom Module. Now you can add your own content such as Shortcodes to Front Page Builder. > Added Widget Module. Now you can add widgets to Front Page Builder. BeOnePage is a fully responsive WordPress Theme which automatically resizes to fit different screens, hence looking great on all devices. Also, the website theme is retina-friendly and doesn’t cause stress on eyes. This WordPress Pro Theme is your best bet if you want to create fast and efficient responsive one page parallax websites. It lets you create website experiences that users remember for life. BeOnePage has everything you can expect in an ideal WordPress Portfolio theme: Call to action, Filtering, options to embed audio & video, and a lot more. Don’t like the color of your website? Want to change the title? Or Upload a new logo? Everything is possible in this creative WordPress theme. That too in just a couple of clicks. BeOnePage is modular, that means you can create the front page of your website on the basis of module. You can hide or show them or rearrange them as per your wish. 650+ Google fonts, 600+ jaw-dropping icons, and a color picker option to change the color of any theme element - the WordPress theme offers a lot to create your dream website. BeOnePage theme seamlessly across all modern browsers. Be it Chrome, UC, Microsoft Edge, or Apple’s Safari – your website will run without any problem. To make sure your website runs seamlessly and you don’t face any problem with the latest versions of WordPress - we keep updating BeOnePage from time to time. Friendly tech support is what differentiates BeOnePage from other WordPress website themes.